Here in Indiana, local bat populations hibernate in winter, but that does not mean you are in the clear this season for bat infestation issues. There are some bats still looking for warm shelter to call their own, and your home is a prime target. To be sure your home is protected against bats, do a brief inspection of your property looking for the common signs of bat activity. If you identify one or more of these tell-tale signs, you could have bats in the house. Continue reading to learn which signs indicate nuisance bat activity in or around your home. Bats are tiny; so tiny, they can squeeze through an opening as small as 3/8th of an inch. That is similar to the width of a nickel! Common access points for bats include loose roof shingles, rotted siding, crumbling mortar, torn screens, damaged weatherproofing, thin layers of insulation, cracks in foundation, broken skylights, missing chimney caps, and similar structural vulnerabilities. All of this means that bats can easily find a way into our homes and structures if entry points like this exist. It is important to consult with a licensed and insured Indianapolis wildlife control company to have your home inspected for possible structural vulnerabilities, as well as, any contributing environmental factors that might attract nuisance wildlife to your home. Not only can a wildlife removal and control team abate nuisance wildlife, they can also protect your property from animal damages and threats. One of the most common signs of bat activity around the house is bat guano. Bat droppings are often confused for rodent droppings, but if you find them around windowsills, door ledges, or in insulation, you can safely assume it belongs to bats. Bat fur retains a natural oil that can leave behind dark stains around the edges of their entry points. If you find holes or openings with oil-like stains around the borders, it could be a bat opening. Look for these stains on window frames, door frames, walls, siding, cement, concrete, wood, and rafters. When bats are around and awake, you can hear them. Typical bat sounds include chirping, chattering, squeaking, squealing, fluttering, and bustling. These are commonly heard through walls or in the ceiling, but can also be heard from outside. When bats occupy an interior area of a home for too long, their droppings can seep through rafters, floorboards, insulation, ceilings, walls, and eventually into the living areas of the home. This permeation can leave unsightly stains on the walls and ceilings, and cause lingering orders. If you actually see bats around dusk swooping in and out of your chimney or other area of your home, you can safely assume you have nuisance bats in close proximity. However, your home might not be a target just yet. Be sure to contact a wildlife control expert as soon as possible for help. 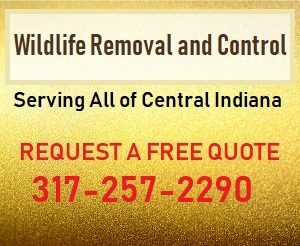 Call 317-257-2290 for non-lethal Indianapolis bat removal you can trust. We are the DNR licensed professionals that can safely and humanely take care of a nuisance wildlife problem on your property. We offer free estimates, DIY advice, discounts, cleanup services, attic restorations, structural damage repairs, wildlife proofing, prevention, extraction, exclusion, and much more! Request a free estimate, today. This entry was posted in Bat Removal and tagged bat removal Indianapolis, bats in the house, get rid of bats Indianapolis, signs of bats, signs of bats in the attic. Bookmark the permalink.